Free alphabet display posters are available all around the internet, especially during back to school season. Unfortunately, these posters aren’t always as helpful as they could be. Letters alone do not give my English Language Learners enough clues. Pictures that give students clues as to the sounds made by those letters are very important. 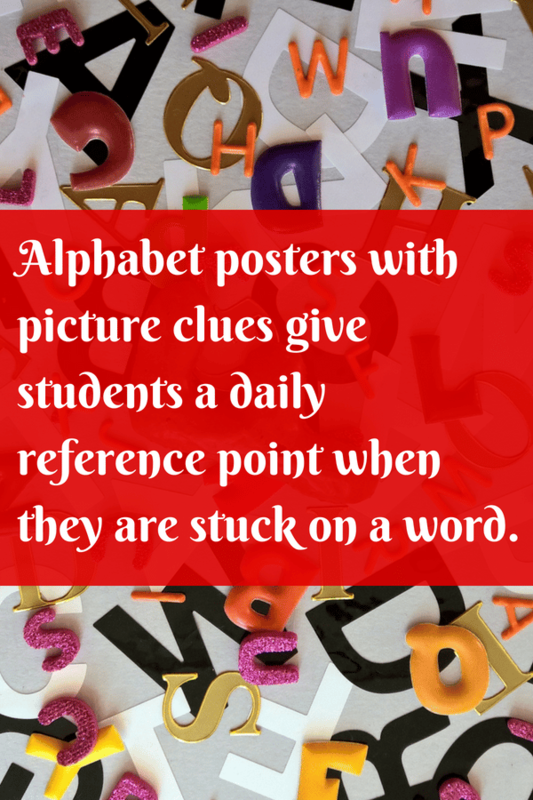 That is why the alphabet posters I use in my classroom include pictures that are easily understandable by all students. 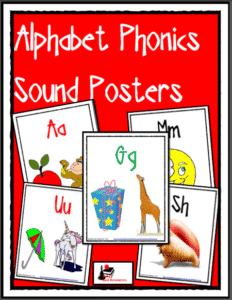 Why do alphabet posters need pictures? When I taught first grade in Morocco, I knew my students would need alphabet posters, so I downloaded a simple set. However, I quickly learned that my English Language Learners needed more than just the letter names. Phonics sounds were a vital part of their decoding process, but my students couldn’t remember what sounds each letter made. So I created a set of posters with pictures of words that started with those sounds. Each morning after that we went through the words, the letters, and the sounds. Soon, my students were remembering not only the sounds, but also the new vocabulary words they had learned. From then on, whenever they got stuck on a sound while decoding they used those posters as a reference point. How often do students refer to posters? As you are preparing for the new school year, go ahead and print and laminate a set of these Alphabet Phonics Pictures Posters from my Teachers Pay Teachers store.